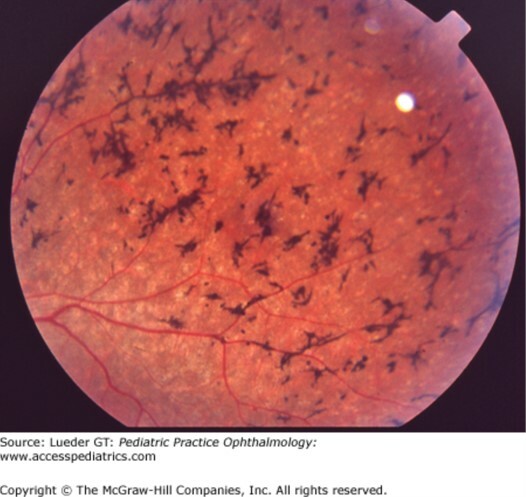 Retinitis pigmentosa. Bone-spicule pigmentation in peripheral retina. Source: Lueder GT. Pediatric Practice: Ophthalmology; 2011.